It turns out that in a microwave oven can not only cook the first or main dishes, but also use it for baking. Advantages over conventional oven in that the dough in the microwave actually cooks faster, and the finished product is delicate and airy. Prepare dishes for baking. For cooking in a microwave oven is forbidden to use metal. Therefore, purchase the special shapes of glass, ceramics. Keep in mind that utensils should be made of heat resistant material, as dough because of the sugar content and fat is very hot under the influence of microwaves. In addition, choose the dishes with high sides, because the dough in a microwave oven rises better than in the oven. Strictly observe the proportions of products used for test preparation. Leave the food on the kitchen table for 10-15 minutes, if in the recipe there are no other specific instructions. It is desirable to mix the ingredients the same temperature. Mix all the ingredients for the dough carefully. First of all it concerns sugar. Undissolved lumps of sugar may burn during baking. Make sure the dough was smooth and uniform. If you prepare the dish according to the recipe for a conventional oven, it will increase the amount of liquid in the dough, especially if you use the dry cake mix. Grease a baking dish with vegetable or butter. On the bottom you can lay a sheet of oiled paper. Sprinkle with the vessel wall crumbs or flour should not be. Do not complete the test by more than half. Cake with moist filling and pierce in several places with a fork so that steam could get out. If you are batch baking, the test pieces should be of equal size for uniform done. Large items put in the center of the plate, and a small place on the edge. Cover the form with parchment paper or film is only to speed up the cooking process in the case if the batter has a thick consistency. Choose your power level depending on the composition of the dough and shape the future of food. Cakes with fruit, berry filling, cakes bake at a power below the average. For cupcakes, gingerbread will exhibit a low power level. Dense dough products with filling bake at average and above average power. Count baking dishes depending on product weight. Open the door to the microwave at any stage of cooking, the dough will not fall off. Pierce a product a wooden stick. If it's cooked, it will remain clean. The ruddy crust on baking in the microwave is not formed. 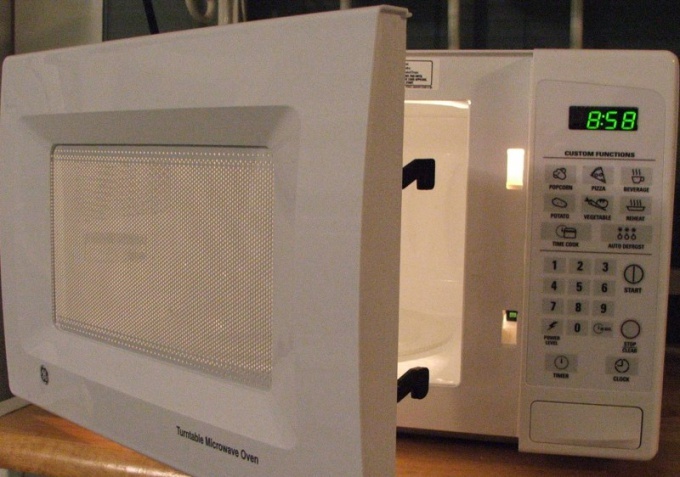 Keep in mind that the process is done continued for some time after exposure to microwaves. Therefore, if the edge of the product is ready, but the middle is still seems raw, then turn off the oven and leave the cakes in the shape for another 5-15 minutes. 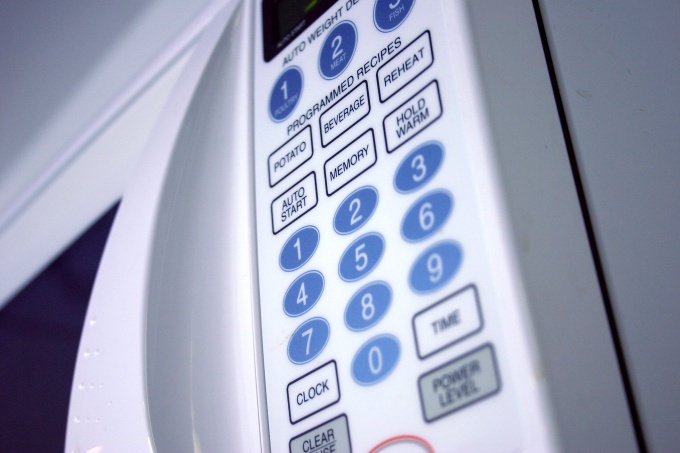 The advantages of the microwave oven in the convenience and speed of cooking. Usually at home it bake only pizza. However, adhering to certain rules, in the microwave , you can prepare the products from any kind of test. Decide first thing in baking dish. It should be a special utensil for microwave ovens. Choose dishes with high sides as the batter in the microwave it rises better than in the oven. For this reason, only fill the form half. To start, try to use a form with a hole in the center, since it is difficult to determine whether evenly cooked cake. It's also handy to use a glass dish. It is easier to assess the degree of readiness of dishes. Do not cover the form with a lid. Bake preferable one porous layer, if you cook the cake or cakes, and then cut it into 2 – 4 layers. The bottom of the form grease or lay it with baking paper. Sprinkle the bowl with flour is not necessary. Make some changes to the cooking technique, if you chose a recipe for a conventional oven. Mix the ingredients carefully, especially for the dough. It is desirable that all the products were at room temperature. The sugar in the dough needs to dissolve completely, otherwise the process of roasting it can burn. Increase the amount of liquid in the dough in the following ratio: 1 tbsp. spoon in 1 egg. Place the mold in the center of the rotating stand. If you bake buns, rolls or pies, place them in a circle at the same distance from each other. Tarts, the product of a dense dough bake at of microwave power of 400 – 500 watts. The oven door can be opened at any time without fear that the dough will fall off. The cooking time will decrease to 2 – 3 times compared to traditional baking. When determining the cooked meals do not look at his appearance. Pierce a product a wooden stick. It should be dry. Note that the process is done ongoing for some time even after you pull the form out of the microwave. So get the dish out of the oven, even if the middle seems a little buggy. Leave the cakes in the form of 5 – 20 minutes to cool at room temperature. If you overdo the dish in the oven, the dough will become dry and hard. Cover the cupcake or cake on top of jam, Fudge or frosting. For example, RUB on the top of the cake with chocolate, put the dish in the microwave for 30 seconds on maximum power, and then a hot knife spread the melted chocolate. 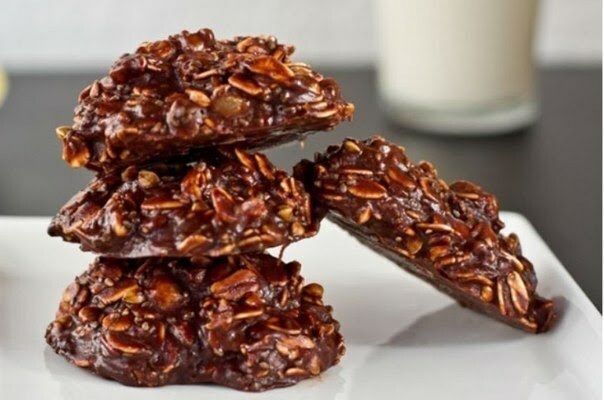 Delicious homemade cookies can be prepared not only in the oven but in the microwave. For this baking conventional recipes will have a little change. Product turned out beautiful, decorate them with frosting - because of a ruddy crust microwave can not provide. To cookies managed, consider a few important points. For cooking in a microwave oven, the dough must contain more liquid. The mass must be carefully removed, fully dissolving the sugar crystals. If sugar is not dissolved, it will burn. The surface can be sprinkled with powdered, colored sugar crumbs, chocolate chips, pour the glaze. The exception is dark chocolate chip cookies, it looks beautiful and without any additional decor. Do not bake the product for too long - depending on the recipe, the cooking process will take 1-5 minutes. Chocolate break into pieces, add to a microwave bowl. Add the butter and melt the mixture in a furnace. Egg whisk with sugar - it should completely dissolve. Pour the egg mixture into the chocolate and flour and stir until smooth. Microwaveable dish cover the baking paper and with a spoon place a small pellet. Bake at maximum power for 1 minute. After the cycle has finished, allow the cookies to stand still a little in the microwave, then carefully remove it. Serve warm or completely cooled. In this recipe, bitter-sour taste of lemon peel successfully set off the white chocolate. 2 tbsp cream or milk. Soften the butter and RUB it well with powdered sugar. Add thinly sliced lemon zest and starch. Stir in the sifted flour and knead soft dough. On floured Board roll it into a not too thin layer. A glass or metal with a notch cut out the cookies. Lay it on a plate for the microwave, sprinkle with flour. Bake products at medium power for 5 minutes. Cookies should remain light and soft. Remove from microwave and cool slightly. White chocolate break into pieces, pour in the cream and melt in the microwave. With a spoon drizzle the cookies with hot glaze. Each piece can be decorated with sugar beads. Let chocolate harden and serve cakes for tea.